time around. It’s still much faster to stick to the command line though. 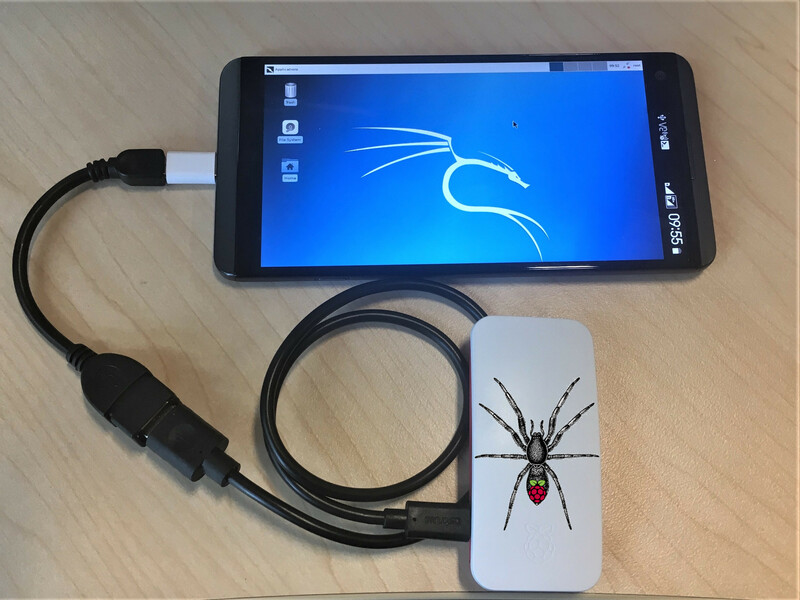 The Pi-Tail is running Kali Linux and your smartphone acts as the power supply, screen, keyboard and mouse. Awesome team work. The network configuration can be prepared offline making it the perfect field companion. 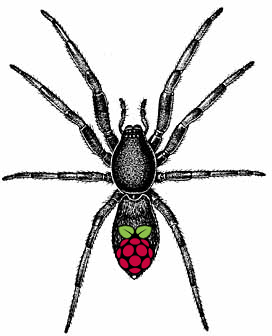 Just write the image to a micro-sd card, adjust /boot/interfaces and /boot/wpa_supplicant.conf to fit your tether requirements, insert the card into your pi and hook it up to your mobile. For bluetooth tethering, just add your smartphone’s mac address into /boot/pi-tailbt.conf. Pi-Tail checks during boot if ethernet gadget mode is enabled and if not, it will automatically switch to mass storage gadget mode. That means it appears to your mobile phone as a usb stick. You can now edit the network configuration with your phone. During the boot process, Pi-Tail will pick up your network config and copy it across to the system partition. The effective config is copied back to /boot/interfaces.active and /boot/wpa_supplicant.active for offline troubleshooting. Enable “wifi hostspot” or “usb tethering”on your phone and the Pi-Tail should connect automatically. Bluetooth works the other way: You have three minutes after boot up to pair with your Pi-Tail. Open ConnectBot on your mobile and connect to the Pi-Tail. Configure port forwarding and fire up a vnc viewer of your choice and you can enjoy kali linux in all it’s glory on the go. You can use the example config files. Just change your smartphone’s SSID to “sepultura” with the password “R4t4m4h4tt4” and your Pi-Tail will tether straight away.